Star Trek has probably been one of the most improperly adapted franchises of all time in video games. It's like every game is an experiment with a different genre. There's been adventure games, an MMO, naval warfare, flight sims, even real-time strategy. 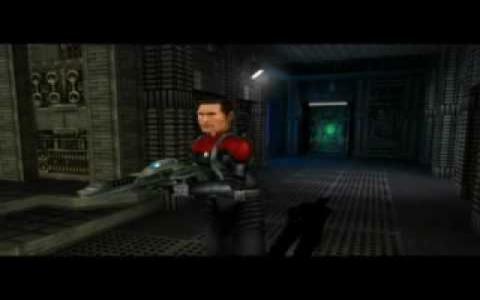 Now, a Star Trek first person shooter? Well, this time, it works. Given the unique circumstances that the Voyager crew find themselves in from week to week, a SWAT-type team is formed. These are the first adventures of that team. Their story could have easily been a big screen Voyager movie trilogy. The action isn't centered on the main crew, though they are frequently involved and everyone has a chance to shine. 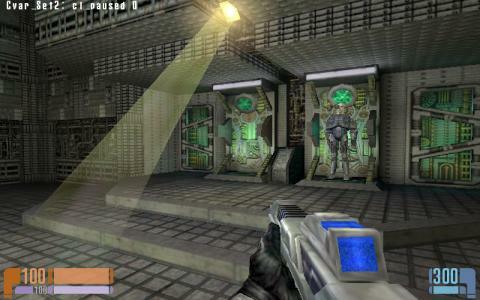 The game is clearly based on the Quake III engine and given a Star Trek paint job. It's like one big Q3 mod, but one that Star Trek fans can embrace. I grew up on the original series and watched it in every incarnation, so I'm biased. Voyager was not my favorite, I usually found great fault with it, but this game is a good experience overall. If you're a Trek fan, of course there are more bonus easter eggs just for you. You'll be able to make sense of the technobabble. All the original cast returns to do their voices, except for one. The fans will be able to tell. It's great to be able to run around on the ship you know so much about already and visit sick bay, the bridge, the galley, and the holodeck. 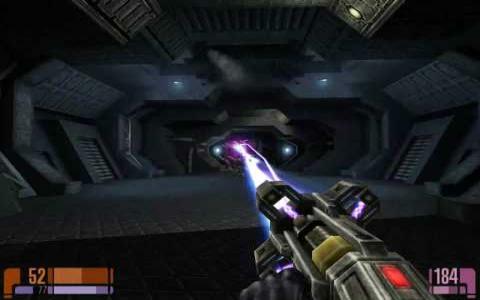 I recommend this game for FPS fans looking for something different, or for Trek fans of any era. Then go check out the sequel where you get to run around the Enterprise E!